On Wednesday, January 13, 2016, a fire occurred on the top floor of 9205 New Hampshire Avenue in Adelphi. Media helicopter video captured the fire and 2 occupants being rescued by firefighters from the apartment adjacent to the apartment on fire. Investigators from the Office of the Fire Marshal have concluded their investigation and the fire has been ruled accidental. It appears an aerosol can of extremely flammable spray adhesive unexpectedly released a continuous stream of product. 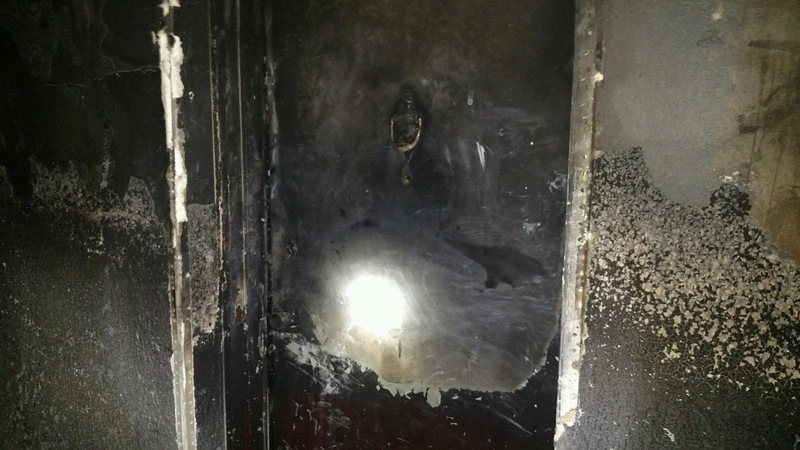 The product came in contact with an open flame on the kitchen stove igniting a fire. Both apartment occupants, a husband and wife, sustained burns from coming in contact with the product and resulting fire. 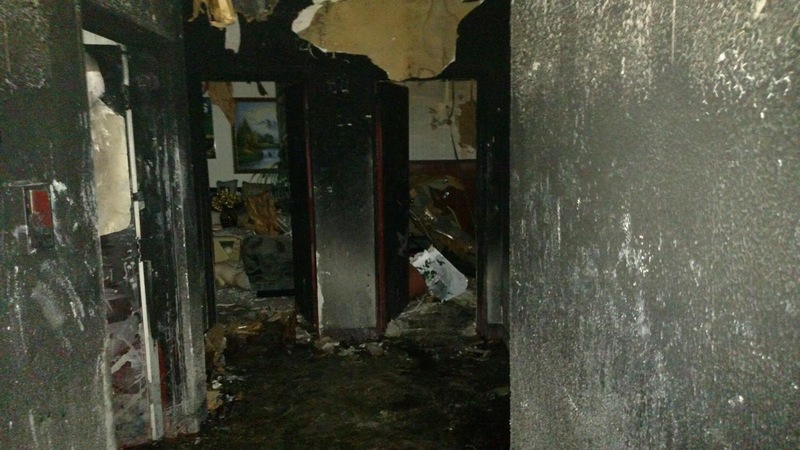 The flaming product ignited other combustibles in the apartment including furniture. The victim’s son arrived home in the midst of this ordeal, called 911 and assisted in removing his parents out of the building. Fire loss was estimated at $200,000. The husband has since been released from the Burn Unit while his wife remains hospitalized. House Fire in Adelphi Maryland from NewsChopperBrad on Vimeo. 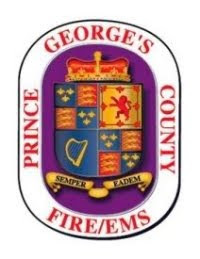 Original PGFD Press Release can be viewed by clicking here. 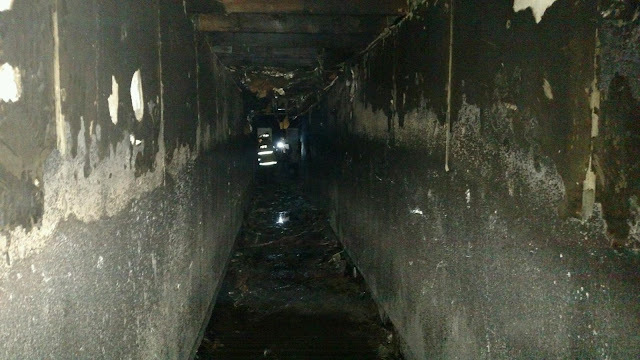 Pictures of the burned interior hallway.